With summer fast approaching, many people are searching for quick fixes to meet their weight loss goals as they prepare to hit the beach. 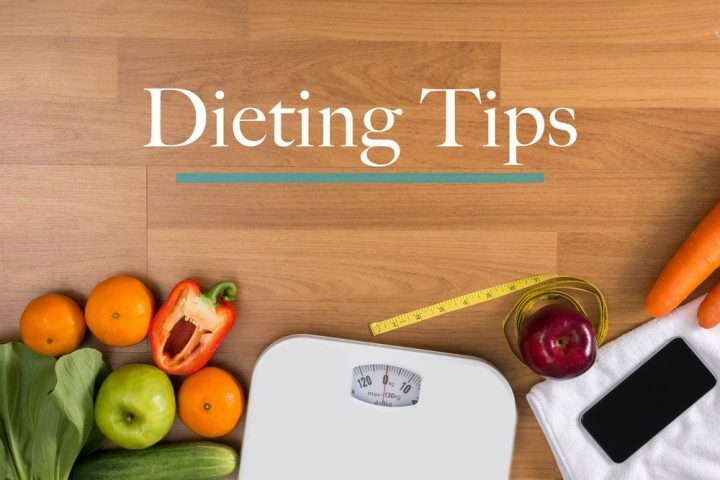 While there are no “silver bullets” to easy weight loss, there are plenty of ways for you to make dieting easier on yourself. Check out these 7 dieting tips to live by. People who succeed at losing weight and keeping it off weigh themselves often. A step on the scale at least once a week seems to build awareness best. However, try not to worry if your weight goes up and down. As water weight shifts, your weight can change by several pounds over a few days time. For this reason, we actually recommend against weighing yourself daily, as this doesn’t give you an accurate measurement of your loss of body fat. Put a lid on your saturated fats. Remember that your body needs some fat to function as it should. Fat helps you to feel full and may curb your desire for seconds or dessert. However, less than 10% of your calories should come from saturated fats. Replace butter and processed foods with more healthy polyunsaturated and monounsaturated fats. These include olive oil, cold water fish, tofu, avocado, and small amounts of nuts. Although lowering saturated fat isn’t magical for weight loss, it is beneficial for overall health. Drinking water, especially before mealtime, helps fill you up and makes you eat less. One study found that adults who drank two cups of water before each meal lost more weight than those who didn’t. Water also helps you stay hydrated. When your kidneys are moving water through your body, your water weight is lower. Don’t be one of those who thinks skipping a meal will help you lose weight. The only thing you’ll gain by skipping a meal is more hunger for your next meal, meaning more calories consumed. You become more apt to raid the fridge and stuff in the junk food. This will sabotage your day’s calorie total. Breakfast is the meal that people are most likely to skip, but it’s really the most important meal to not skip! Regular breakfast eaters are leaner than those who start the day on an empty stomach. Missing a meal can also leave you less energized, making you less likely to exercise, a crucial element of meeting your weight loss goals. Having small, nutritious meals and snacks between meals has been shown to help people lose more. Stop eating for a few minutes when you’ve finished a significant portion of your meal. Add several seconds between bites and pace yourself. Give your brain time to report to your stomach that you are full. Being spontaneous may be fun for some things, but it can ruin a diet. Plan your meals and snacks from breakfast to dinner – and end with dinner! This will ensure your meals fit into your diet plan. You may just find it easier to pass up vending machines and fast food joints if you have a plan. Write down everything you put in your mouth – everything. You will be less likely to sneak in an extra bite of something if you’re holding yourself accountable for every calorie. A few extra bites will add up faster than you think. Your diary is the most efficient way to hold yourself responsible for the small things, and it’ll help you think twice before you try to cheat your diet plan.